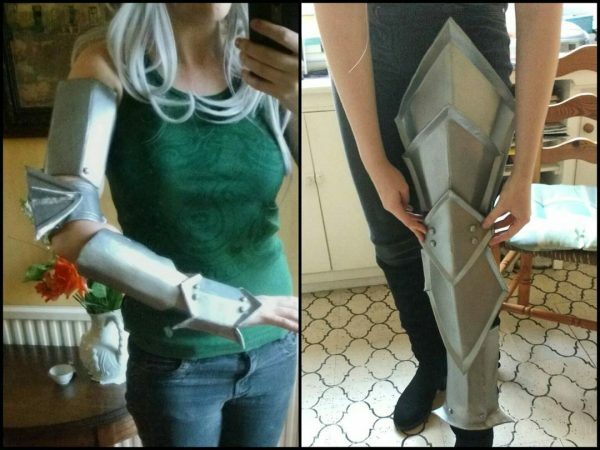 Dragon Age Flemeth Armor Made with Worbla « Adafruit Industries – Makers, hackers, artists, designers and engineers! 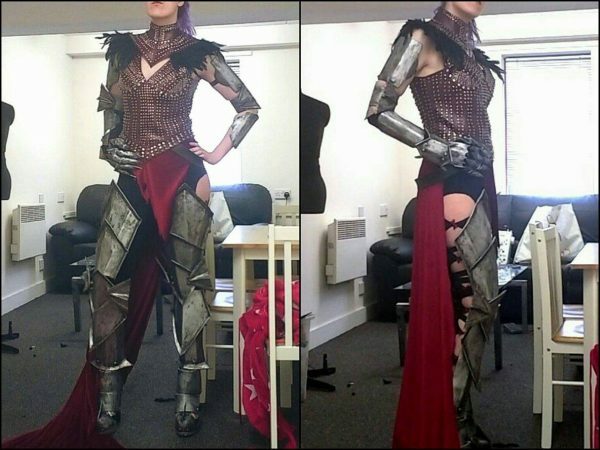 Flemeth is a shapeshifter in Dragon Age, and she has quite the set of striking armor. 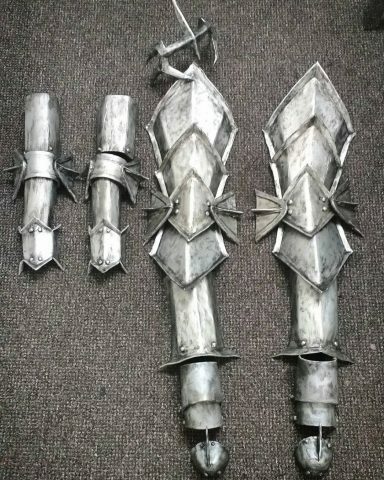 It features a cape, leg and arm pieces made from metal, and a studded leather top. Cosplayer Beth, also known as Megabethbob, recently re-created the look from scratch. The above image shows the mostly completed costume; she only has the wig left on her to-do list. 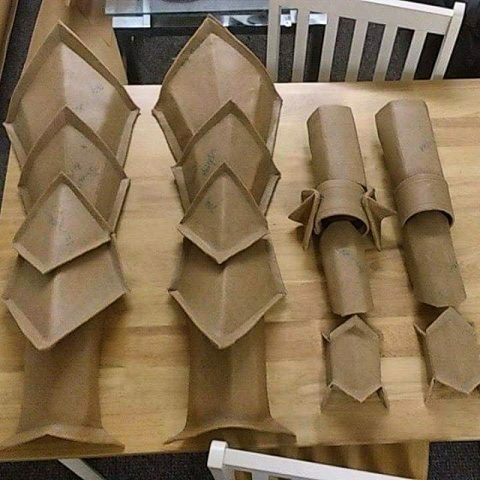 She made all the armor from Worbla and added all those studs by hand. I swear by priming with PVA glue! So for this my process was 5 coats of pva glue – grey spray primer – car spray paint (nissan blade silver to be precise. It’s the best) – a coat of clear wood varnish – weathering with acrylic paint. More work in progress pics in this album. You can keep up with Beth’s projects on Instagram and/or Facebook.